Singapore never fails to surprise me! I was there recently for the 5th time in three years and as always left amazed with what the destination has to offer. The main highlights for me this time were the exclusive venues that have been refurbished and revitalised – all perfect for your next extra-special event or celebration! First stop was the National Gallery, the new visual arts institution restored from the former Supreme Court and City Hall. Here there are great event spaces, with my favourites being the rooftop dining area and sky lounge. They’re perfect for cocktails, welcome dinners and late night parties overlooking the lights of Marina Bay. But if you’re after somewhere really different with a combination of buzzing bars and neoclassical buildings, then CHIJMES is a must! Once a Catholic school for girls, it has all been restored and is now the ideal venue for anything from a grand wedding in the exquisitely restored Gothic styled 19th Century chapel to informal breakout sessions for business meetings in dedicated areas, restaurants and courtyards. 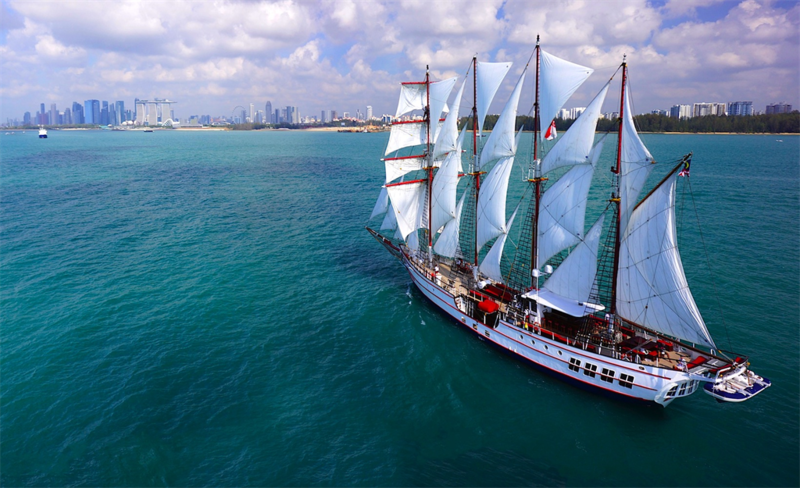 The ultimate event space is what I’d call the Royal Albatross Tallship Charter. It’s totally different ….something right out of a movie! Over 360 000 man-hours have been spent re-fitting this yacht into a sailing ship of sheer luxury and splendor. Here you can undoubtedly entertain and impress with panache (even though you have to be barefoot on board!). Get the wind in your sails for team building activities, party the night away or hold an executive team meeting in total privacy. You can even sail across to Lazarus Island and continue your function there. Everyone is totally indulged by the private crew of 30 who look after you on this extraordinary corporate yacht charter. My visit wouldn’t have been complete without stopping by to check out two of the newest hotels, the South Beach Hotel centrally located near Raffles Square and the Sofitel in Sentosa. 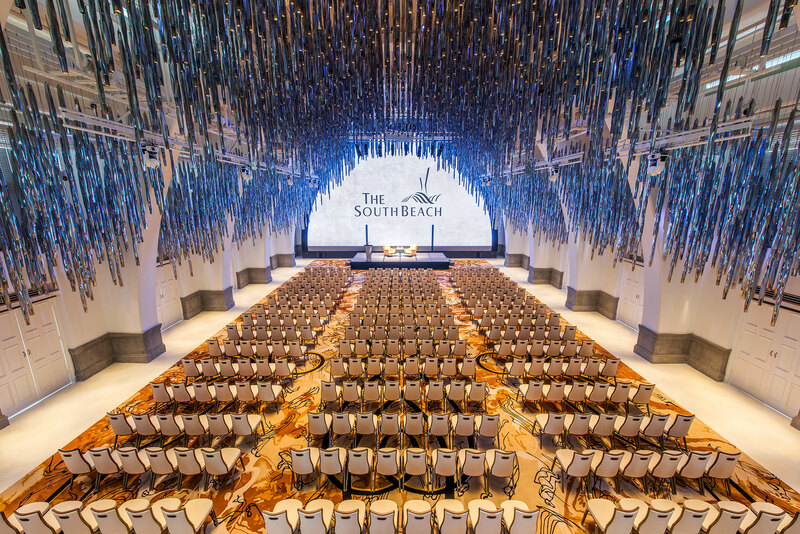 South Beach Hotel – opened late 2015 and is already making its mark as a “Highly Individualised People and Places” hotel. 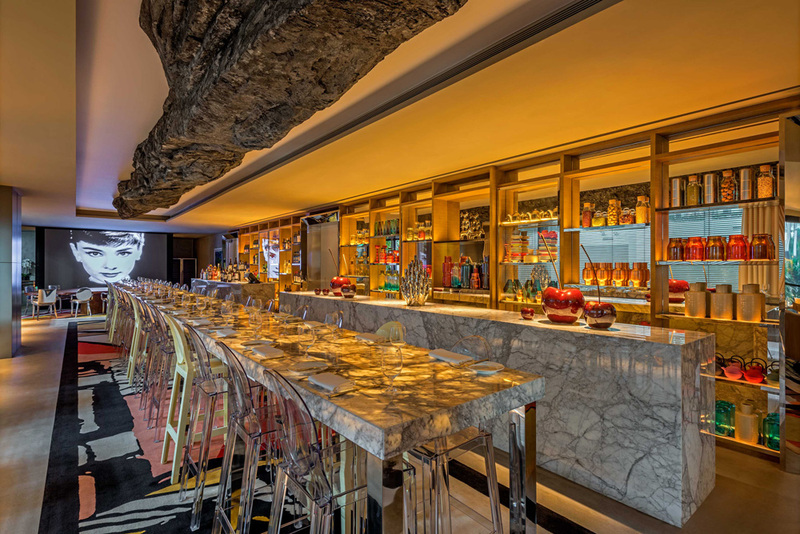 Designed by French designer Philippe Starck who has ensured that everything from the hotel rooms to the 43 imaginative event and social spaces, are state of the art! It’s definitely a great spot for product launches, meetings and celebrations. Wow! Any event will be a showstopper in the magnificent ballroom nestled beneath a hanging forest of lights in a beautiful heritage building. They’ve thought of everything for your event, as there is even a phenomenal built-in LED wall all ready for the show! 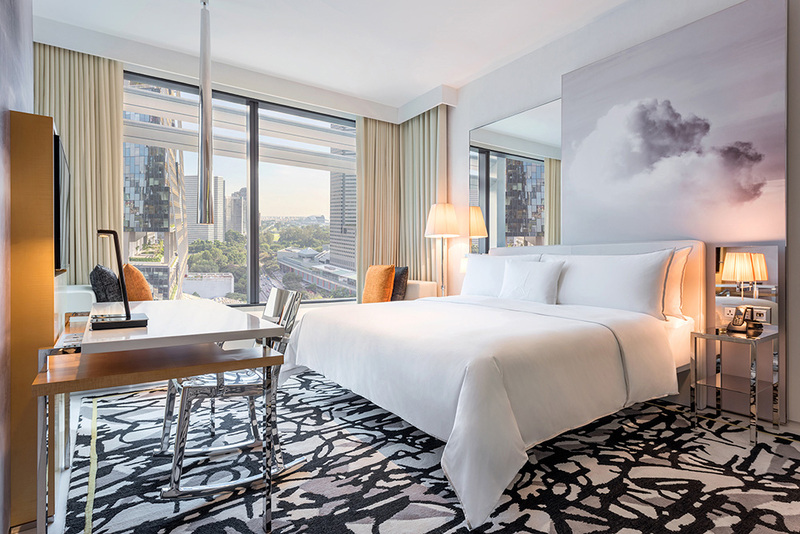 A visit to the magnificently refurbished Sofitel Singapore Resort & Spa was well worth it. I last saw this property three years ago when it was The Singapore Resort & Spa managed by Accor – and am totally amazed with the transformation that has taken place. The new flair of French touch combined with the tropical feel of the island, the spacious ballrooms and event spaces make it an ideal MICE location. What I liked as well is that it’s on the beach! After a full day of meetings, you can take a short walk to Tanjong Beach or the pool and bar area is a very enticing setting to enjoy that well-deserved Singapore Sling! Again I conclude, that there is no doubt that Singapore keeps reinventing its blend of culture, fun, business and innovation. I’m looking forward to going back to find more great locations that continue to make Singapore the perfect MICE destination.